For today's exclusive J-14 New Moon special, we chatted with Edi Gathegi who plays Laurent and Alex Meraz who plays Paul about the Twittering habits of the Twilight cast. J-14 exclusive interview: Twilight Twitter Habits! J-14: Edi, you're so active on Twitter. How do you use it to rally New Moon fans? Edi Gathegi: Am I SO active on Twitter? J-14: Pretty much! We know what you're doing right now — 7 1/2 hours of interviews! Edi: That means you're a Twitter junkie! 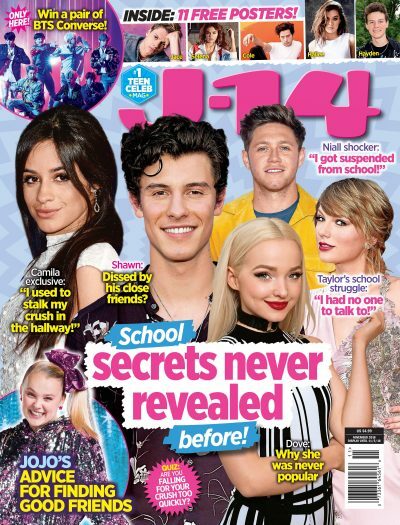 J-14: Okay, you're onto me. Edi: I think I only have 100 Tweets. Alex Meraz: But Peter [Facinelli] has a lot — I call him "Tweeter." Come back tomorrow for another J-14 New Moon exclusive. For more New Moon exclusives including photos from the set, pick up the new issue of J-14, on stands now!